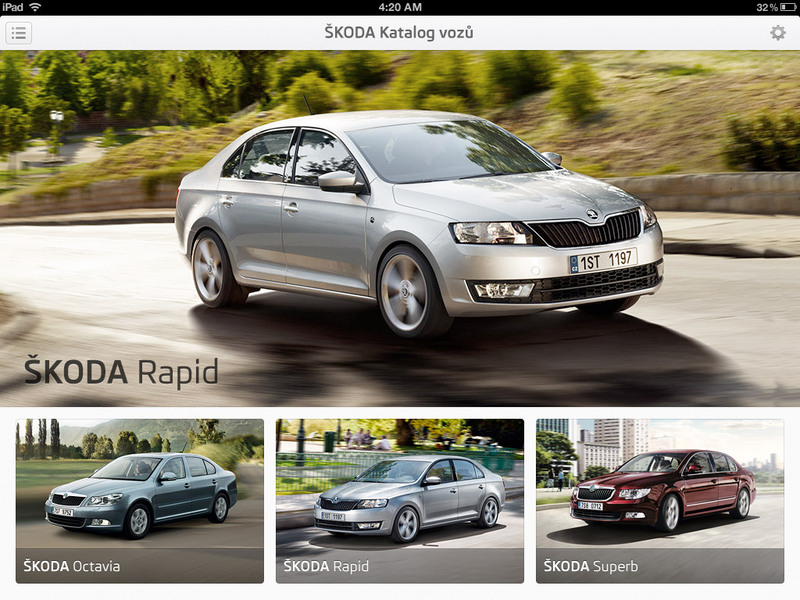 ŠKODA Interactive Catalogue is an iOS application featuring 3D models of ŠKODA cars. 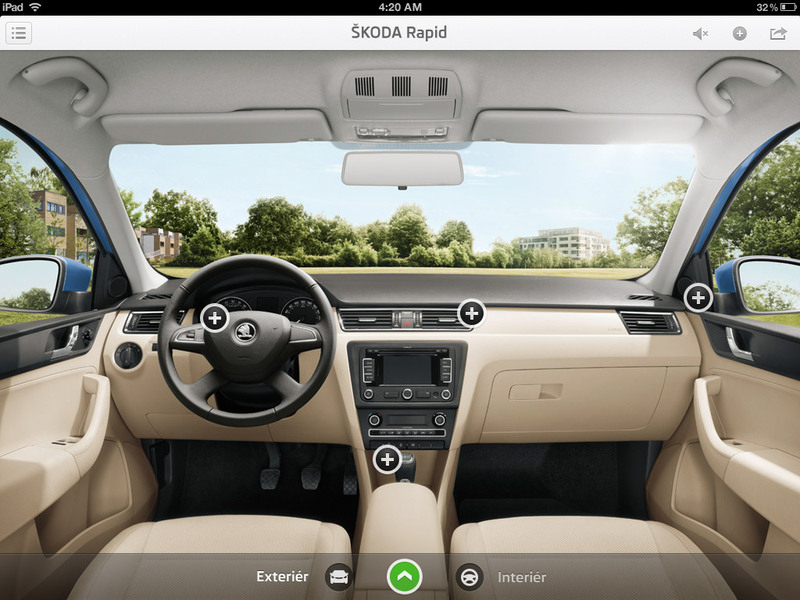 Visitors can explore the models in 360° view and customize their interiors and exteriors. 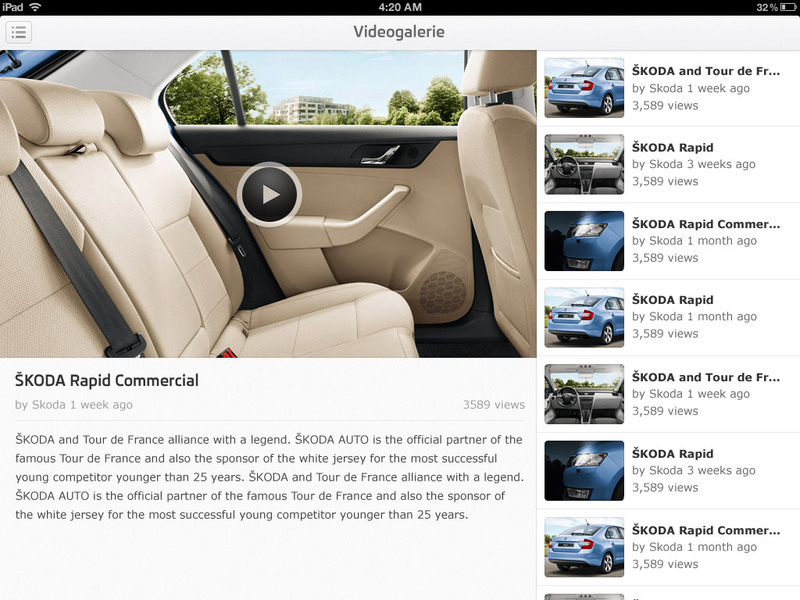 I was commissioned by Inmite.eu to create a visual design of the application.